A Drug Overdose is the accidental or intentional intake of any drug in dosage higher than the prescribed quantity. Drug Overdose may be also referred to as Medication Overdose. What are the Causes of Drug Overdose? What are the Signs and Symptoms of Drug Overdose? The signs and symptoms of Drug Overdose depends on the specific drug type involved. It can vary from one individual to another and may be mild in some and severe in others. Several systems of the body, such as the digestive system, nervous system, vascular system, respiratory system, urinary system, skin and ENT may be affected. How is First Aid administered for Drug Overdose? Who should administer First Aid for Drug Overdose? First aid for Drug Overdose is administered by healthcare professionals. What is the Prognosis of Drug Overdose? 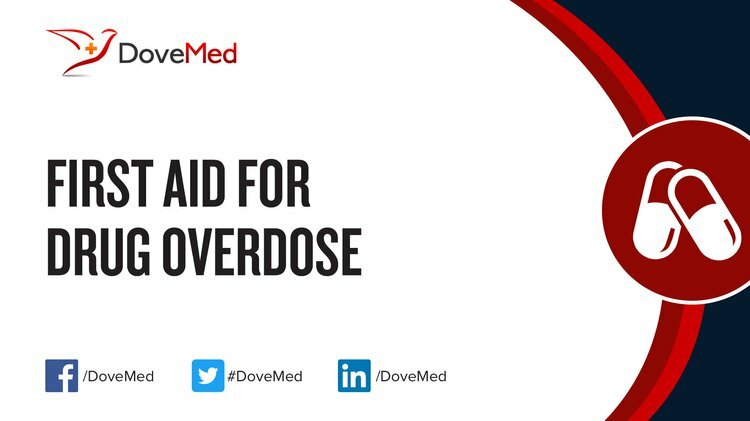 The prognosis of Drug Overdose is dependent on the type and amount of drug consumed, time between overdose and treatment, severity of the symptoms, as well as general health status of the patient. How can Drug Overdose be Prevented? Centers for Disease Control and Prevention (CDC. (2012). CDC grand rounds: prescription drug overdoses-a US epidemic. MMWR. Morbidity and mortality weekly report, 61(1), 10. Paulozzi, L. J., Kilbourne, E. M., & Desai, H. A. (2011). Prescription drug monitoring programs and death rates from drug overdose. Pain Medicine, 12(5), 747-754. Rudd, R. A. (2016). Increases in drug and opioid-involved overdose deaths—United States, 2010–2015. MMWR. Morbidity and mortality weekly report, 65. Cutajar, M. C., Mullen, P. E., Ogloff, J. R., Thomas, S. D., Wells, D. L., & Spataro, J. (2010). Suicide and fatal drug overdose in child sexual abuse victims: a historical cohort study. The Medical Journal of Australia, 192(4), 184-187. Haegerich, T. M., Paulozzi, L. J., Manns, B. J., & Jones, C. M. (2014). What we know, and don’t know, about the impact of state policy and systems-level interventions on prescription drug overdose. Drug and alcohol dependence, 145, 34-47. Martins, S. S., Sampson, L., Cerdá, M., & Galea, S. (2015). Worldwide prevalence and trends in unintentional drug overdose: a systematic review of the literature. Journal Information, 105(11). Centers for Disease Control and Prevention. (2014). Prescription drug overdose in the United States: Fact sheet. Availa le at: http://www. cdc. gov/homeandrecreationalsafety/overdose/facts. htmlAccessed: May, 15.